Interested candidate should send their CVs to Morganhuntsng@gmail.com on or before 31st March 2019. Must be a graduate of Business Administration or related field. Interested and qualified candidates should send their CV to: atideola@gmail.com. Application Deadline: 5th April, 2019. Application Closing Date 9th April, 2019. Send CV to: hello@timesmultimedia.ng and fo@timesmultimedia.ng using the Job Title as subject of your email. First Degree or its equivalent in any discipline with at least two years’ sales experience. Experience in power sector/insurance sector/real estate sector will be an advantage. The ability to prioritize, handle pressure and meet deadlines. 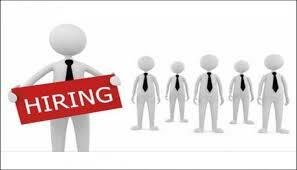 Applicants must have fair experience in Sales and Marketing and must not be above 32 years. Exp in the Insurance industry is an added advantage. •not be less than 30 years old. Interested and qualified candidates should send their CV to: career@fusionwavenigeria.com Application Deadline 30th April, 2019. Minimum of 2 - 3years experience in media and Advertising sector. Must be within the ages of 28-40 years. Interested and qualified candidates should send their CV to: hrng@accountmanager.com.ng. Application Deadline: Friday, 29th March, 2019. B.Sc. Computer science, software engineering, web design, or a related field. How to Apply: Click on position link below .